This article first appeared in the Newsroom on 18 January. Click here to view. 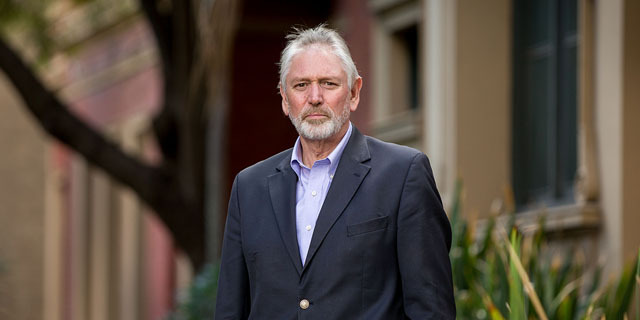 University of Melbourne Laureate Professor Alan Lopez has been named among the top ten most influential academics worldwide, in a new analysis of thousands of academic papers by Thomson-Reuters. Laureate Professor Alan Lopez, known as 'Dr Death' is renowned for his work on public health data collection. He is the only Australian researcher to make the Thomson-Reuters Top 10 Hottest Researchers of 2015 list. Twelve researchers from the University of Melbourne also featured in the report’s wider rankings of the most influential scientific minds in the world, more than any other Australian university. The World’s Most Influential Scientific Minds 2015 report is based on the number of cited research papers an academic published from 2003 to 2013. It’s the veritable cream of the crop of research, hand-picked from the estimated nine million researchers in the world today who publish upwards of two million reports each year. The report also includes a ranking of the “hottest researchers”, whose recently published papers were cited at extraordinarily high levels over a short period of time. Laureate Professor Alan Lopez, who directs the Global Burden of Disease group of researchers in the School of Population and Global Health within the University’s Medicine, Health and Dentistry Sciences Faculty, was ranked ninth in the world on this list, the only Australian to feature. He published 16 highly-cited papers between 2013 and 2014. Prof Lopez leads the four-year Bloomberg Data for Health Initiative, a $100 million partnership between Bloomberg Philanthropies and the Australian Department of Foreign Affairs and Trade. Professor Lopez, who was nicknamed ‘Dr Death’ 20 years ago with more than 95,000 citations to his work throughout his academic career. “This comprehensive and peer-based assessment of research impact shows that Australian academics, many of whom are at the University of Melbourne, are producing some of the most influential research in the world,” Prof Lopez said. Overall, Australia ranked fifth, behind the US, UK, Germany and China with 103 highly-cited researchers. The University of California System in the USA was the leading University represented with 160 highly cited researchers, followed by Harvard University.